Hazelnut Bastille is a top-down adventure game with Metroidvania elements which seeks to continue the great lineage of superior design from the mid 90s- the moment in time when mainstream 2D titles reached arguably their greatest level of refinement, in titles such as Super Metroid and A Link to the Past. The game emulates this period in most ways, from graphic presentation, to audio production, to general level design philosophy. ​ Hazelnut Bastille tells the story of a young woman who travels to a foreign shore on the outskirts of her world, in order to seek out the promised gifts of mythological ancients, in hopes of retrieving something which was lost to her. On the way, her story becomes irrevocably intertwined with the lives of those living in this far off land. 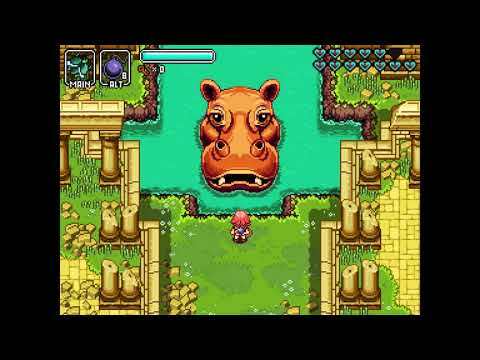 The upcoming Hazelnut Bastille Linux, Mac, PC and Switch release date is 2019 in the US and the UK. Notify me when Hazelnut Bastille is available.